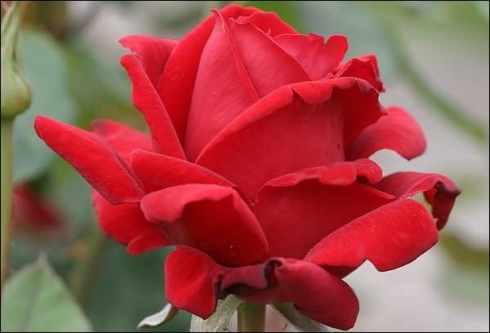 A timeless classic and a perfect example of what a hybrid tea should be - high centered, velvety, strongly scented and with a great repeat bloom habit. The large, shapely, dark red blooms are held on long stems clothed with dark matt-green leaves. While happiest in hot temperatures, it doesn't disappoint wherever it calls home. A proven performer with fragrance to die for. Medium sized bushy shrub, reaching 5-6' high with deep green foliage. Deliciously fragrant, with very strong old rose, damask fragrance. This beauty is also available in tree form, on a 3' stem, bringing color to a whole new level in your garden!